The arrest comes three days after the Thiruvadanai MLA was booked under various criminal charges, including criminal intimidation and attempt to murder, in connection with the speech. While addressing members of Mukkulathor Puli Padai, a caste outfit he founded, Karunas had claimed that though he belonged to the Mukkulathors community, commonly known as Thevars, his loyalties stood with the Sasikala camp but many “disloyal” members of his community had flocked to the EPS camp. In his 47-minute speech, he also attacked a police officer, who he claimed stopped him from standing next to the CM at an event. The MLA also threatened that he would open up about what transpired at the Koovathur resort in 2017, where AIADMK legislators were camped after O Panneerselvam rebelled against jailed AIADMK leader Sasikala. “I am intending to tell (what happened in Koovathur) in the court. If necessary, I am intending to give my statement to the Chief Justice of the High Court,” he said. In the video, Karunas is also heard urging his supporters to commit murder. “You can even commit murder. But do so after informing me. There should be justification for that (the murder),” he says. He also advised the cadre to openly disclose their identities if they were to hurl stones at the opponents. Following Karuna’s speech, the Hindu Makkal Katchi, the Tamil Nadar Sangam and a few other outfits met Police Commissioner AK Viswanathan, seeking criminal action against the actor. On Thursday, Nungambakkam Police registered a case under various sections of the IPC and the Madras City Police Act against Karunas. 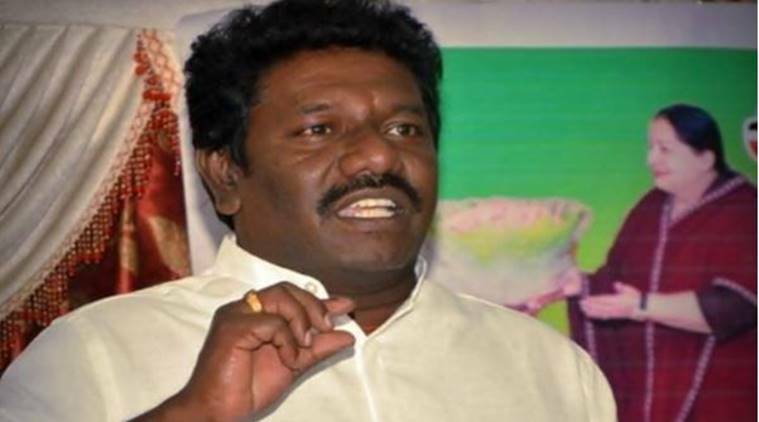 A day after he was booked, Karunas expressed regret for his remarks and said his intention was not to hurt any community. “I didn’t speak against any community… I express my deep regret if whatever I spoke in anger over what has happened has hurt anyone. I will make sure it doesn’t happen again. As far as I am concerned, I only spoke about the demands of my community. It is not my intention to demean and speak ill of others,” he told Tamil news channel Puthiya Thalaimurai.